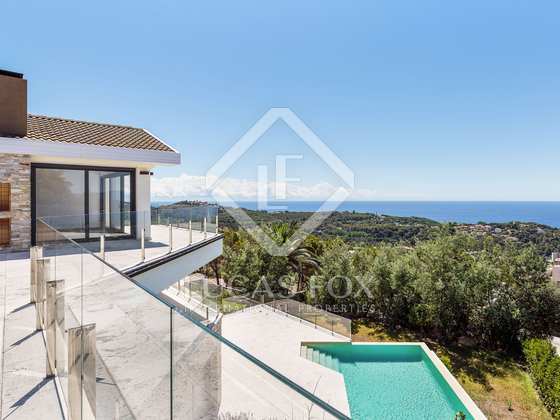 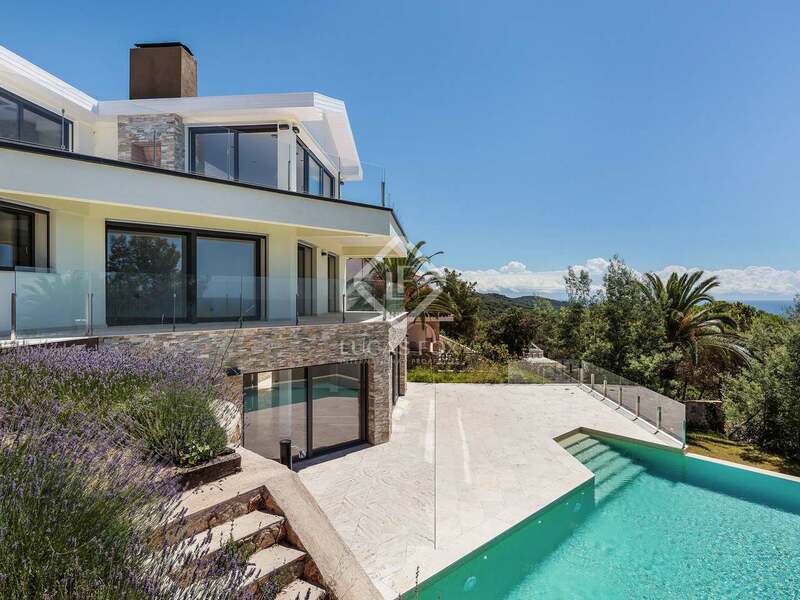 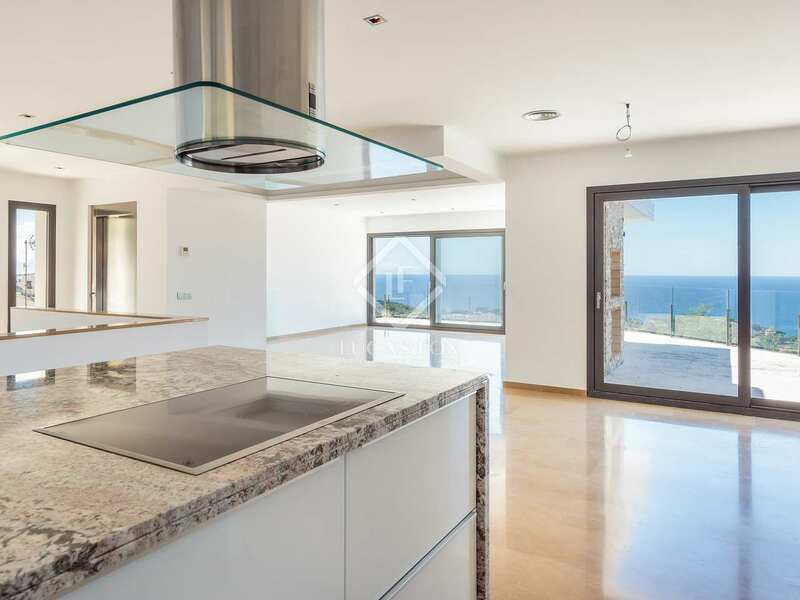 Extraordinary contemporary design villa with a pool and panoramic sea views for sale within walking distance of Lloret de Mar and the beach. 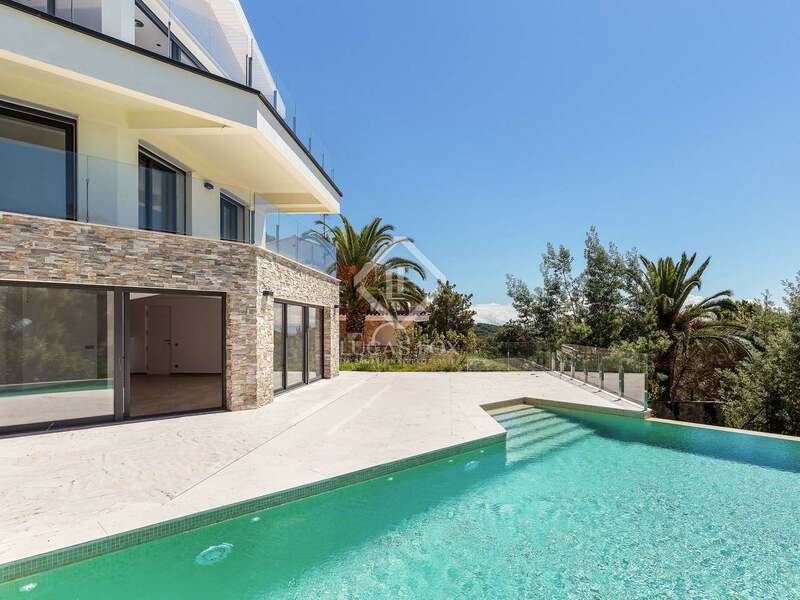 This exceptional modern villa was built in 2016 and is presented in perfect move-in condition. 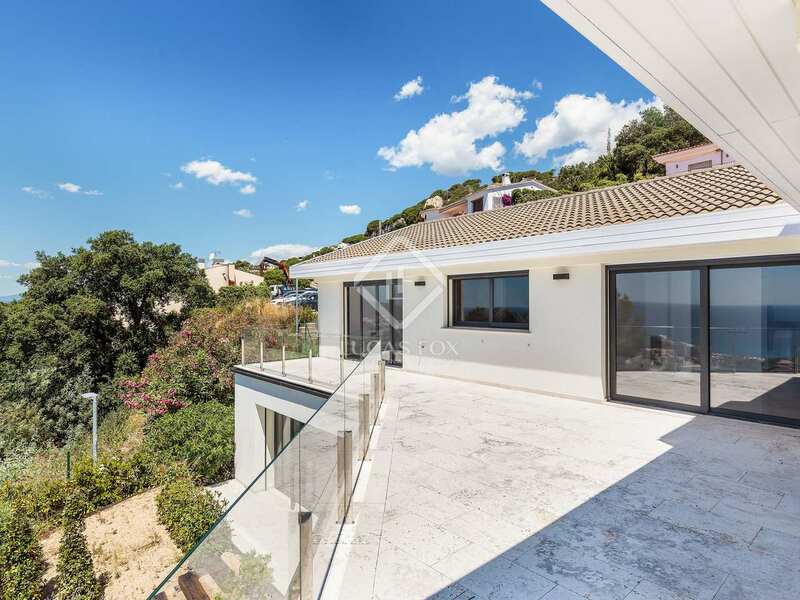 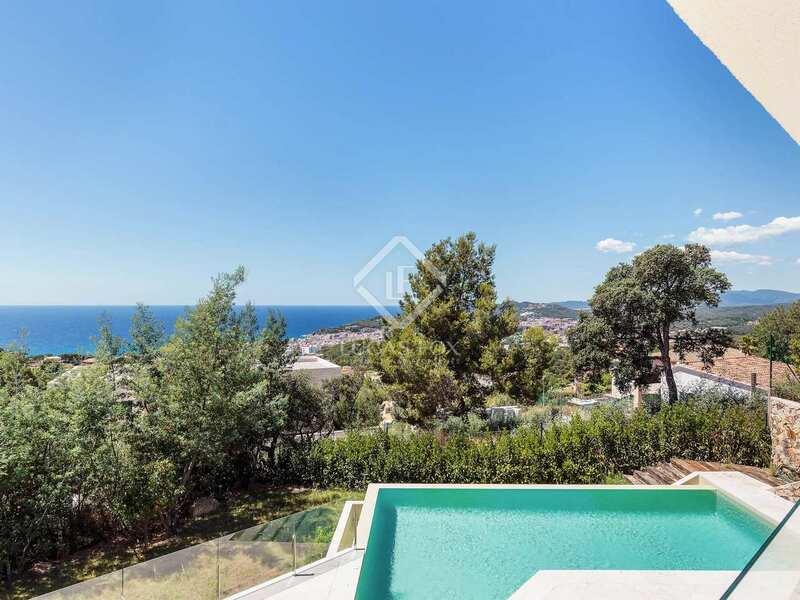 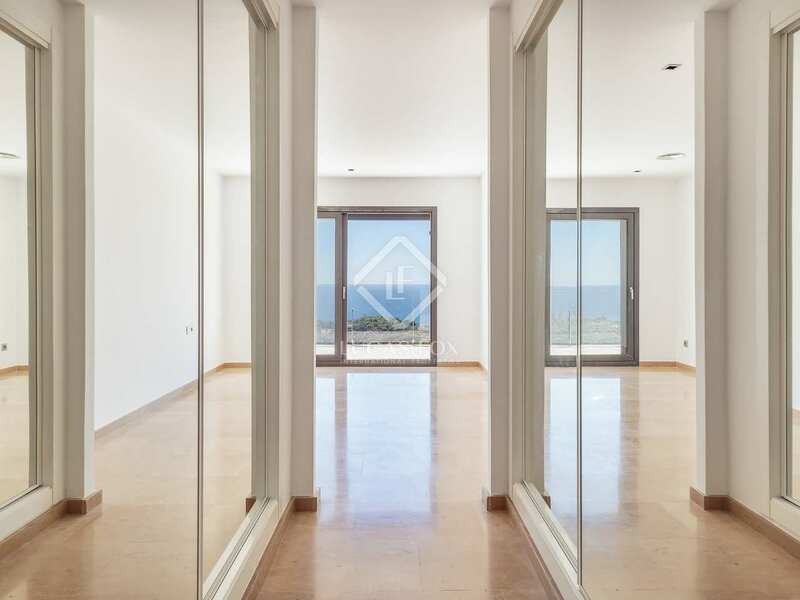 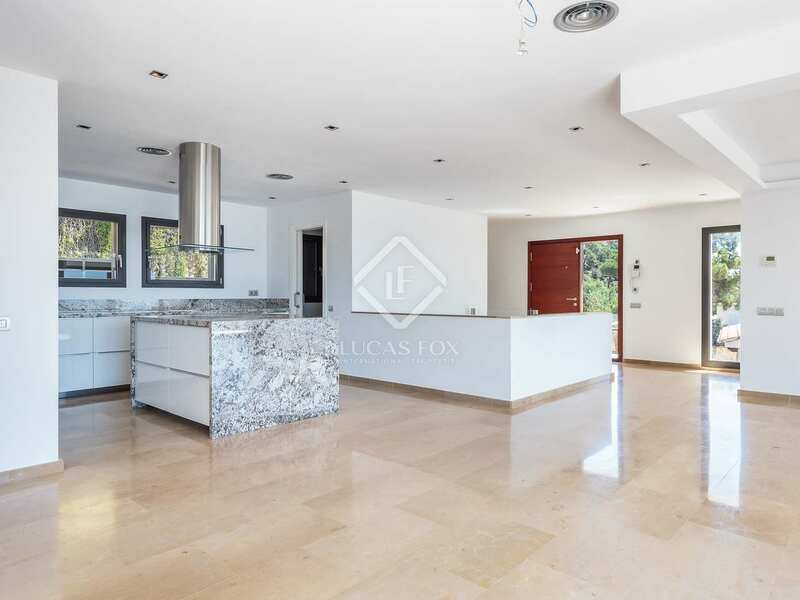 It has a total of 6 bedrooms and 5 bathrooms and offers phenomenal sea views from its privileged location on a very peaceful street in the exclusive Normax residential area, just 500 metres from the centre of Lloret de Mar and 1 km from the beach. 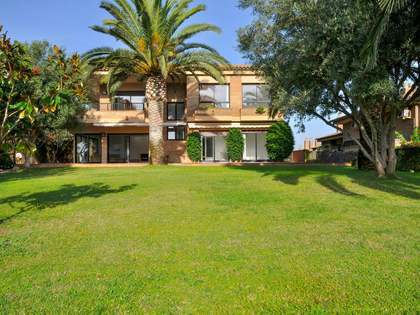 Outside we find a low maintenance garden with fruit trees and a private pool. 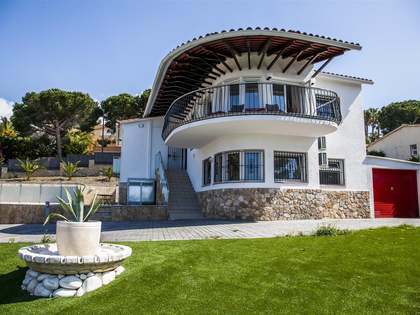 What's more, the house has solar panels for the hot water system. 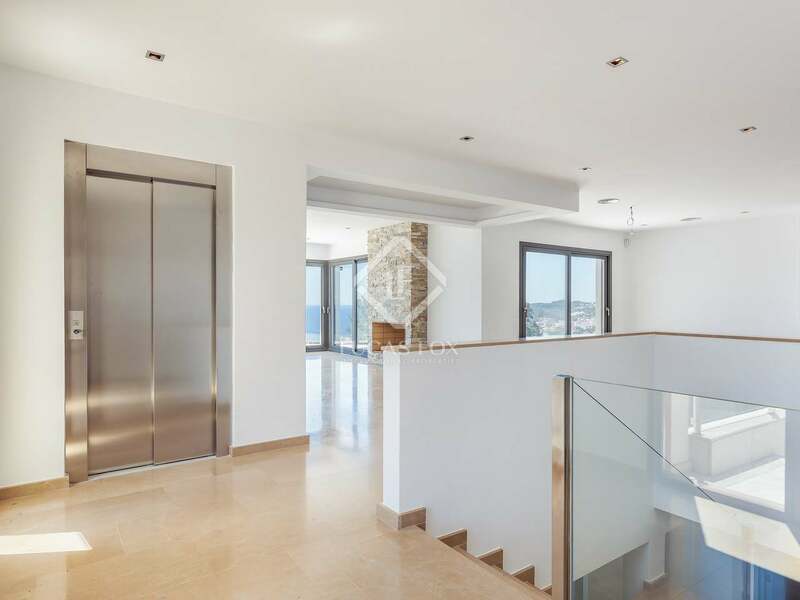 We enter the house on the ground floor via an attractive entrance hall. 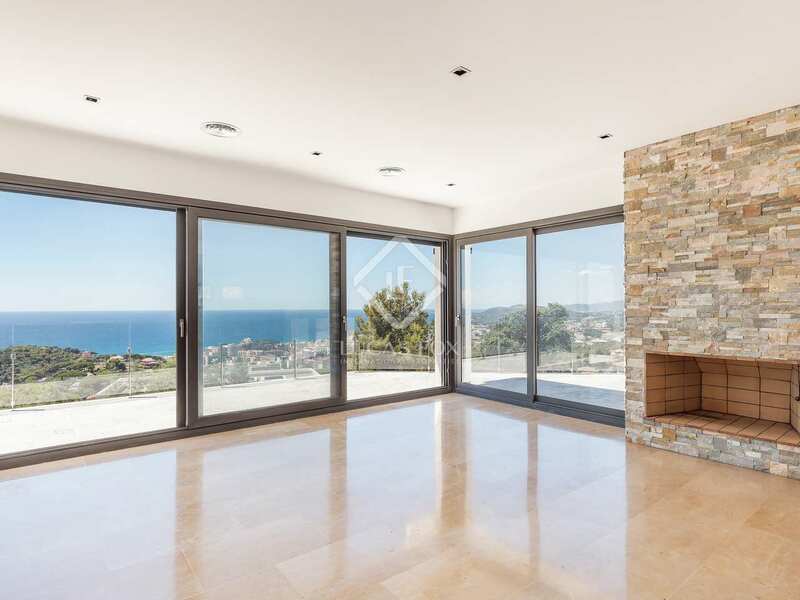 This floor offers a very spacious living room-dining room with a fireplace and access to a terrace with breathtaking panoramic sea views. 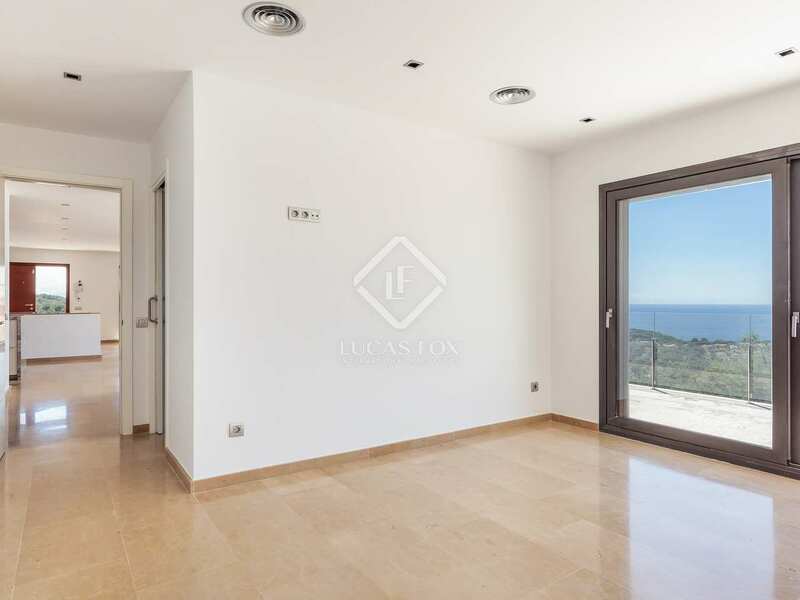 Also on this level are a bedroom, guest toilet and a bedroom suite with access to a terrace. 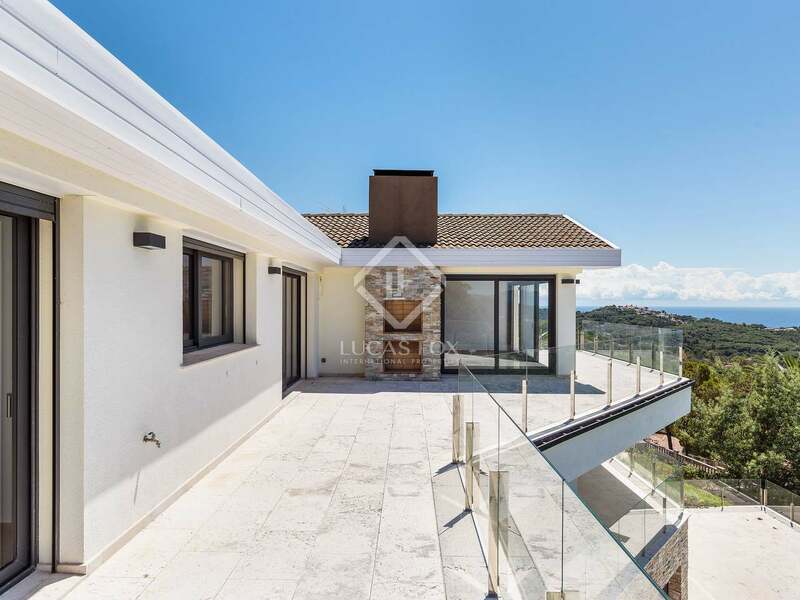 The lower floor offers an en-suite bedroom and 2 further bedrooms with a shared bathroom and an extra bedroom to accommodate guests, staff or even to convert into a gym if desired and this area also has a bathroom. 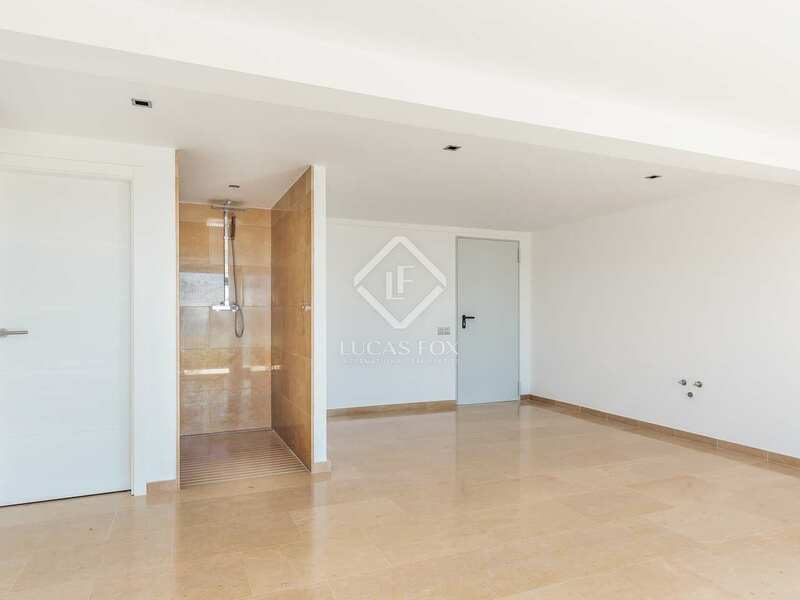 The parking facilities for 1-2 cars are on this level. All of the bedrooms enjoy access to a terrace and sea views. 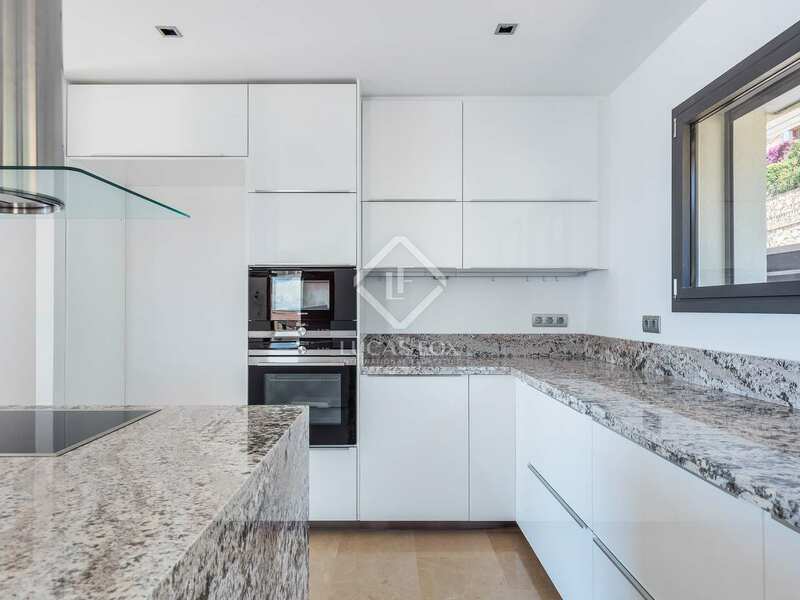 The basement has a summer kitchen area, a bathroom and pre-installation for a kitchen with potential to convert the space into a guest apartment or summer area as it has a separate entrance and is on the same level as the pool. 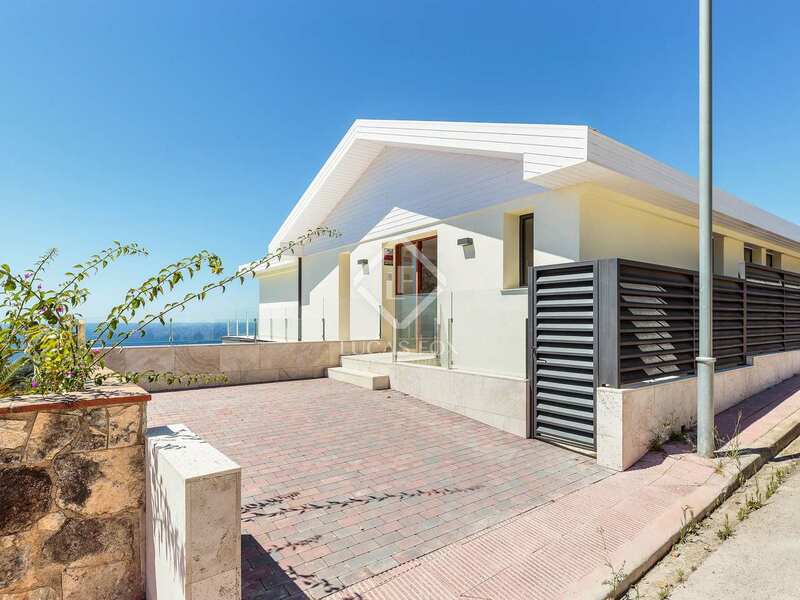 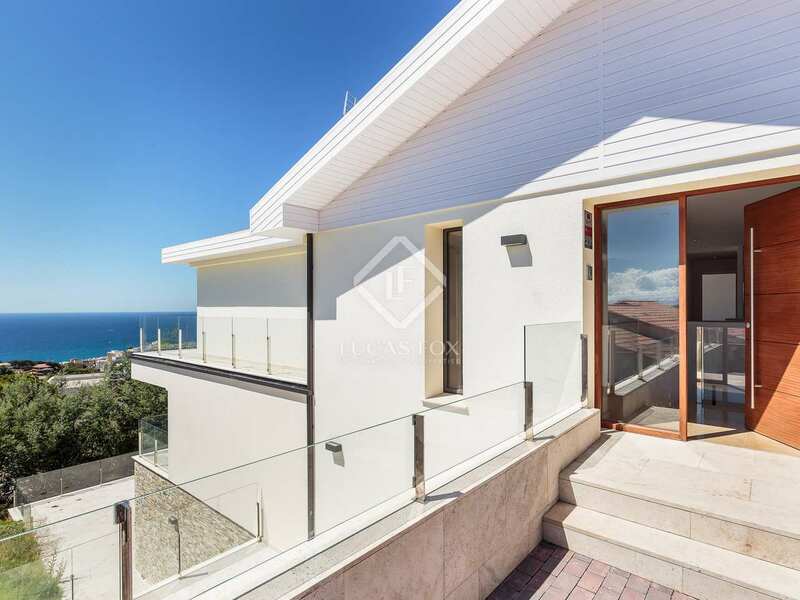 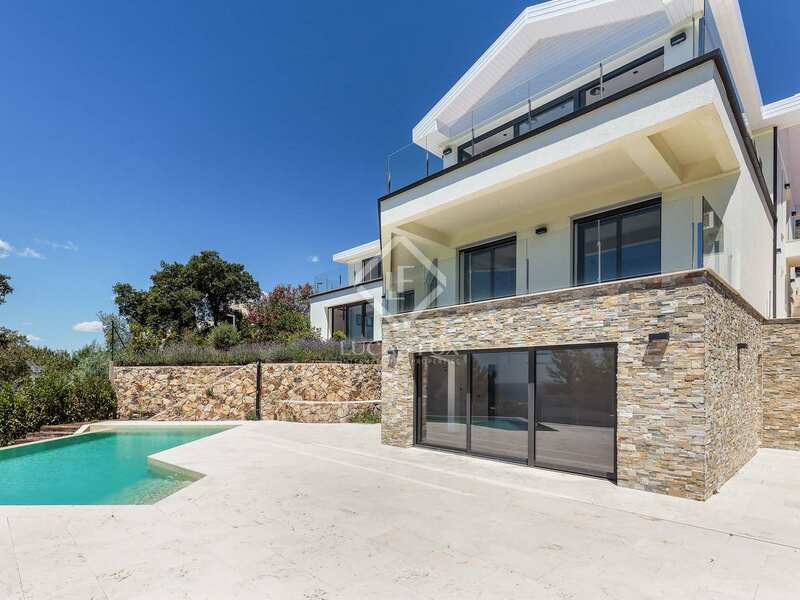 An excellent contemporary villa with spectacular sea views and within walking distance of the town centre and the beach. 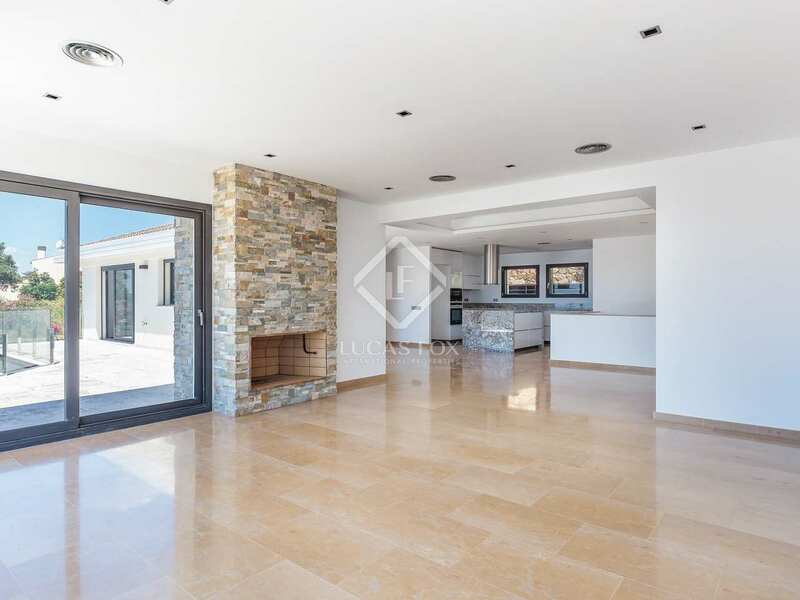 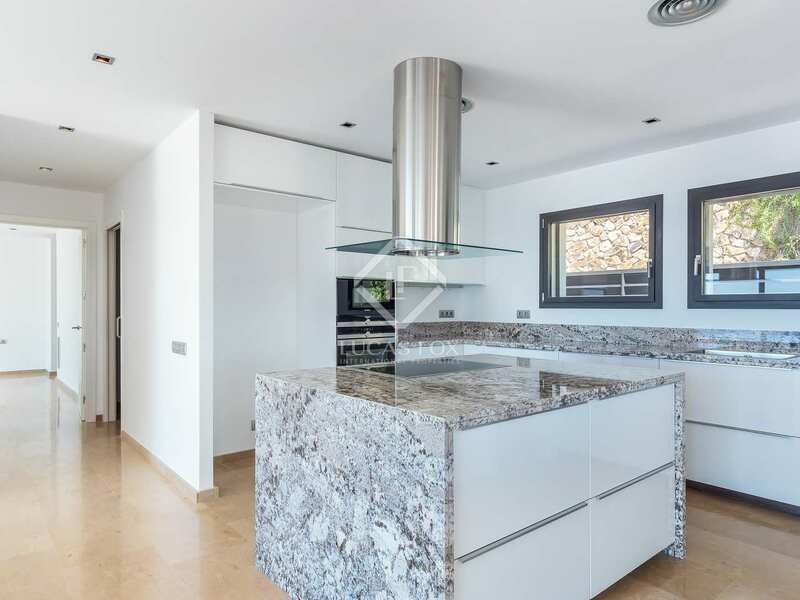 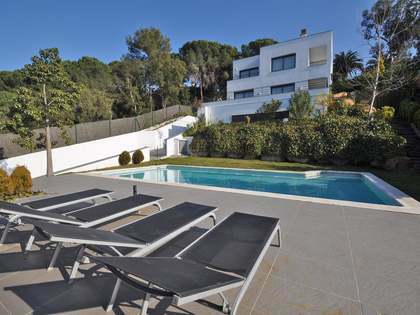 This villa for sale in Lloret de Mar is in the prestigious residential area known as Normax. 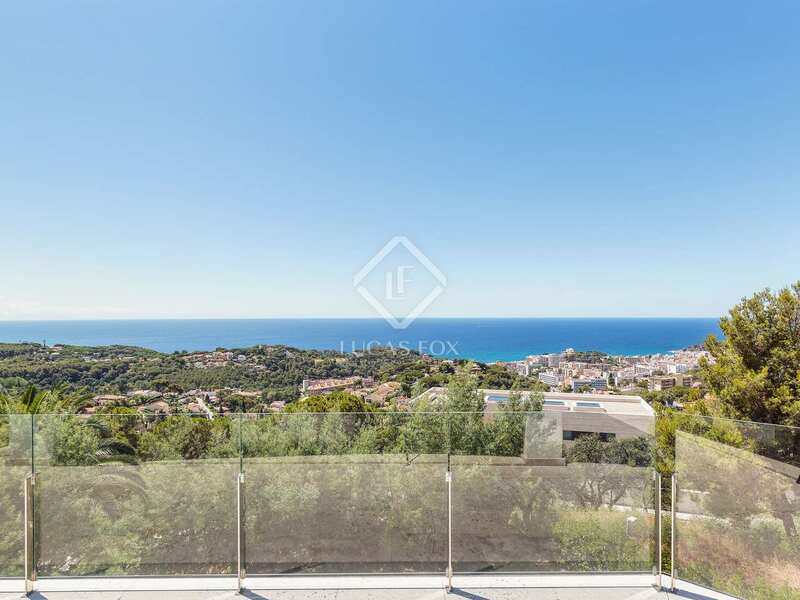 This neighbourhood enjoys very good infrastructure and transport to the town or to any of the 5 beaches that Lloret de Mar offers, such as Playa Canyelles, La Cala Gran, La playa de Fenals, Sa Boadella and Santa Cristina. 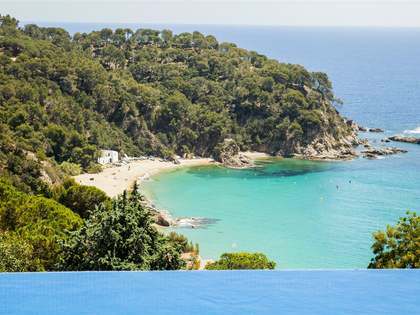 Lloret de Mar is the capital of the Costa Brava and is just 70 km from Barcelona and 28 km from Girona Airport. 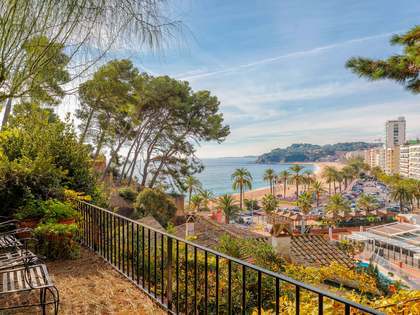 Lloret de Mar has cultural and sports events all year round.